We have compiled a list of the 9 most common items found missing from adjusters’ estimates that our clients use to supplement insurance claim roofing estimates. Sometimes these items get accidentally overlooked by newbie adjusters, while sometimes they are intentionally omitted due to different roofing philosophies, or possibly as a tactic to save on claim payouts. Whatever the case, these items are often legitimate supplement items. If you are looking to supplement insurance claim roofing estimates for anything you feel was illegitimately omitted, including any of the items mentioned here, we can help. But just remember, there is never a guarantee the adjuster will approve your supplement. So we highly recommend taking photos of the items in question (or the lack thereof if it is a code compliance issue) and submitting them with your supplement request. Pictures makes it much easier to make your case for missing items, and they better your chances at approval of your supplement insurance claim roofing estimates. Starter course shingles are frequently left out of adjusters’ estimates. A common belief among insurance carriers is that the cost to manufacture and install starter course shingles is captured in the waste allowance for the field shingles (i.e. they expect you to sacrifice several bundles of field shingles, cut them to size, install them as starter course, then get started on your field shingles and hope that you’ll have enough to finish the roof). While it is possible to make starter course shingles from waste, it isn’t always desirable, especially with architectural/laminate type shingles. Moreover, the labor cost to install starter course shingles is not the same as the labor cost to install field shingles: Xactimate® has two different rates for these two very different tasks. In summary, starter course shingles are a real product sold on the shelf, and odds are likely that they were installed on the original roof you are now tearing off. If you ever find that factory-made starter shingles exist but are missing from the adjuster’s estimate, you should supplement insurance claim roofing estimates with them. But remember: take a picture proving they exist and submit it with your supplement! 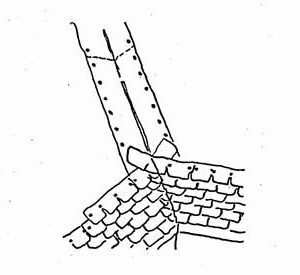 Ridge and hip cap shingles are commonly left out of adjusters’ estimates. 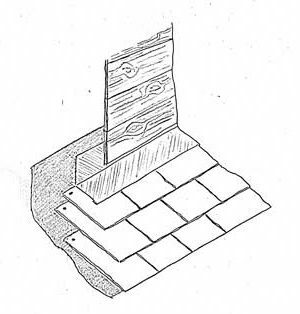 Similar to starter course shingles (see above), many insurance carriers believe that the cost to manufacture and install ridge and hip cap shingles is captured in the waste allowance for field shingles (i.e. they expect you to pick your scraps up off the ground, cut them to size, and install them on the ridges and hips). This is possible to do with 3-tab shingles, but when it comes to architectural/laminate type shingles, it isn’t recommended because those shingles are thicker and will not lie flat, thus causing them to crack when bent over the ridges and hips. Additionally, the labor cost to install ridge and hip cap shingles is not the same as the labor cost to install field shingles from the waste; Xactimate has two different rates for these tasks. 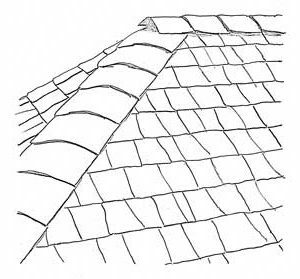 If you find factory made ridge and hip cap shingles exist but are missing from the adjuster’s estimate, or if you are working with architectural/laminate type shingles and there are no ridge and hip cap shingles in the adjuster’s estimate, you should supplement insurance claim roofing estimates with them. Step Flashing is commonly left out of adjusters’ roof estimates. Many insurance carriers think it can be reused, or they chance leaving it out of their estimate expecting that there is a good chance the estimate will be accepted without supplement. Though most shingle manufacturers recommend removing and replacing step flashing when installing new shingles, step flashing can be reused, but only if 1) it was nailed to the wall rather than the roof deck, 2) it is in like-new condition (i.e. not buckled, rusted, bent, cracked or broken), and 3) it will stay in like-new condition during tear-off of the surrounding shingles and felt and installation of new. With all this said, given that most shingle manufacturers recommend nailing step flashing to the roof deck and NOT to the wall, any existing step flashing that is nailed to the wall will not be in compliance with the new shingle manufacturer’s recommendations. Therefore, it is usually best to remove and replace step flashing when installing new shingles. Xactimate has a rate to replace step flashing by the linear foot. The cost to remove it is included in the cost to tear-off shingles (i.e. Xactimate has no removal cost for step flashing as it is captured in the tear-off cost for shingles). Whenever you find this item to be legitimate but missing from the adjuster’s estimate, you should supplement insurance claim roofing estimates with it. Remember, take pictures proving it’s there and submit them with your supplement. Head Wall/End Wall Flashing is, more often than not, left out of adjusters’ estimates. Similar to step flashing (see above), this is something most insurance carriers think can be reused or just won’t be supplemented from their estimate. However, if the flashing has ever had shingles face-nailed to it, you are not likely to get your new shingles face-nailed using the same nail holes. Therefore, you will have a potential for leaks if you reuse the old flashing. So it is generally best to remove and replace head wall/end wall flashing when installing new shingles. Xactimate has a rate to remove and replace head wall/end wall flashing by the linear foot. Whenever you find this item to be legitimate yet missing from the adjuster’s estimate, you should supplement insurance claim roofing estimates with it. As always, be sure to grab that photographic evidence submit it with your supplement. 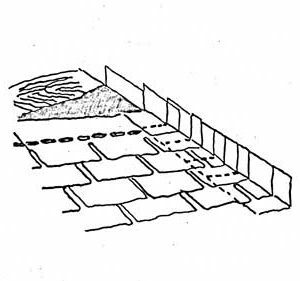 Valley lining (for both open valley and closed valley roofs) is often left out of adjusters’ estimates. Most insurance carriers either expect it to be reused (in cases where metal is in use), or it goes unnoticed by the adjuster if it is concealed by shingles (in cases of closed valleys), or they chance leaving it out thinking it won’t be supplemented. However, valley lining cannot usually be reused. In the case of metal valley lining, the field shingles are nailed through it, so you are not likely to get your new shingles nailed through it again using the same nail holes. That leaves a potential for leaks. And in cases where rolled roofing or ice and water shield is used for valley lining, it won’t survive tear-off of the surrounding shingles and felt. And lastly, in cases where no valley lining is present, it is almost certainly out of compliance with current code and therefore needs to be added. Xactimate has a rate to remove and replace metal valley lining by the linear foot, and a rate to remove and replace rolled roofing or ice and water shield valley lining by the square foot. If you find this item to exist on the roof but not in the adjuster’s estimate, or if it is a code compliance issue and you believe it might be covered, you should supplement insurance claim roofing estimates with it. And again, remember to get a picture proving it’s there (or not there if it’s out of compliance with code). 6. Painting of Vents, Flashings, Drip Edge, Etc. Painting of Vents, Flashings, Drip Edge, Etc. Painting of vents, flashings, drip edge, etc. is often left out of adjusters’ estimates. If the original vents, pipe jack flashings, drip edge, etc. were ever painted a custom color, then the cost to paint the new materials should be added. 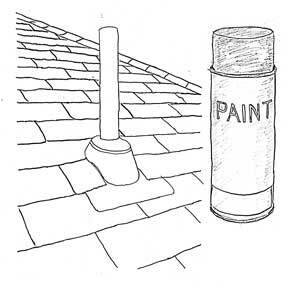 Xactimate has a rate to paint vents by the each, pipe jack flashings by the each, and drip edge (i.e. trim) by the linear foot. Whenever you find something painted but the paint is missing from the adjuster’s estimate, you should supplement insurance claim roofing estimates with it. And be sure to get a picture of it. 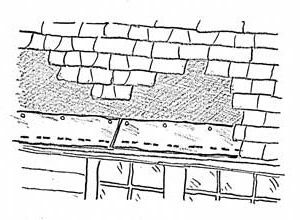 Drip edge is, more and more, being omitted from adjusters’ estimates. Some insurance carriers argue that shingles and felt can be torn off without disturbing the drip edge, and thus the drip edge can be reused. Some insurance carriers state that they don’t cover damage to drip edge unless its intended function is somehow compromised. 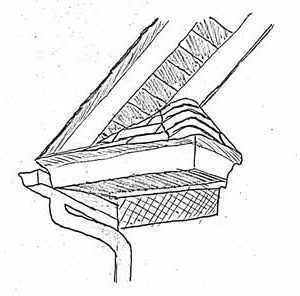 Either way, if the felt, ice and water shield, or starter course shingles have been installed underneath the drip edge, then the drip edge will need to be removed in order to remove and replace the former materials. Therefore, in these situations, the drip edge will need to be replaced as it will not survive removal. Xactimate has a rate to remove and replace drip edge by the linear foot. Whenever you find removal & replacement of drip edge to be legitimate but missing from the adjuster’s estimate, you should supplement insurance claim roofing estimates with it. As always, be sure to get a picture that shows why it needs to be removed and replaced. Gable cornice returns and gable cornice strips often go overlooked. When that happens, the surface areas, linear footages, etc. for these get left out of adjusters’ roof diagrams and/or satellite imagery reports. That leads to materials and labor getting omitted from the adjusters’ estimates. The cost to remove and replace gable cornice returns and strips adds up rather quickly and can leave a lot of money on the table. Xactimate has a rate to remove and replace gable cornice returns by the each, and it differs based on one-story and two-story applications. Xactimate has a rate to remove and replace gable cornice strips by the linear foot, and it differs based on one-story and two-story applications as well. By all means, if there are gable cornice returns or gable cornice strips on a roof and they are not captured in the adjuster’s estimate, you should supplement insurance claim roofing estimates with them. Remember: always get pictures of these to submit with your supplement. General Overhead and Profit (O&P) is often left out of adjusters’ estimates. It tends to be a contentious issue with insurance carriers since adding it usually increases an estimate by a minimum of 20% (overhead is usually added at 10%, and profit is usually added at 10%). An entire book could be written about O&P. The unwritten rule of thumb is that if a project has enough trades and enough complexity that it would reasonably justify the property owner hiring a general contractor to perform and/or oversee the work, then O&P is added. However, some insurance carriers flat out refuse to pay O&P if they feel a project doesn’t warrant the use of a general contractor. And some, knowing full well up front that a project has enough trades and complexity to justify hiring a general contractor, will still not apply O&P to their estimate initially, waiting for the property owner to show evidence they are actually using a general contractor first. That evidence they want sometimes consists of the general contractor’s estimate showing O&P on it, or the general contractor’s signed contract showing O&P on it. However, even when that evidence is presented, some carriers will agree to the O&P markup on certain trades, but not on others. The trade they usually dispute is roofing, and sometimes guttering too. Their argument is usually along the lines of, “O&P are already included in unit costs for those particular trades, therefore they do not qualify for additional O&P.” That is a weak argument because, while it is true that a certain amount of what Xactimate calls “job-personnel overhead” is included within the unit costs (i.e. 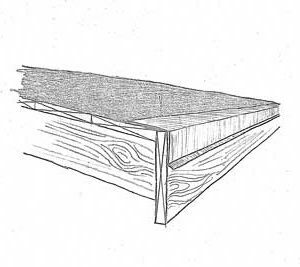 per square/square foot/linear foot/etc), it is not the same as the O&P markup. Per Xactimate’s “White Paper” on O&P published 05/01/2011, “Job-personnel overhead” consists of vehicle costs, mobile phone costs, depreciation on tools, profit correlating to an employee performing a certain billable task, etc., whereas the O&P markup consists of expenses that can’t be attributed to a project itself, like general and administrative expenses, rent, utilities, salaries for office workers, etc. The former are expenses incurred by whichever contractor performs the work (whether a subcontractor or general contractor), while the latter are expenses incurred only by the general contractor. In light of this, if an insurance carrier believes certain trades will be performed “in-house” rather than subcontracted out, then their argument to withhold O&P on those trades might hold water. However, if there is no indication those particular trades will be done “in-house,” then their argument seems a bit unfair. In any case, O&P seems to always be a challenge with certain insurance carriers, and there’s never a guarantee an adjuster will agree to it if you include it in your supplement. Nevertheless, if you are a general contractor planning to outsource a particular trade, then O&P applied to that trade would seem to be warranted and well worth arguing for. If you have an adjuster’s estimate that you know is missing legitimate items, and you would like to supplement insurance claim roofing estimates for those items, Assistimate can help. Or, if you are new to roofing and not sure if the estimate is missing legitimate items, Assistimate would be happy to review it, along with any photos of your project, and provide you with an opinion of what you could potentially include in your supplement insurance claim roofing estimates. Please Contact Us today for more details. Most of this is common sense. I will say working in Ohio, most roofs DO NOT have starter course, so I’m not sure where you’re at or if it’s a newer area, but most of the roofs we see are 20 years old and won’t have it. Also, O&P should not be added to roofing only claims. It devalues all your other points of contention immediately. Pick and choose your battles wisely, and photo the heck out of everything you do (as you mention).